I found them in Tile2A, but the only thing is that I only get the corner tiles pieces in the set and not the center pieces included as well. I'm not sure if I'm doing something wrong, like if there is a way to get the tiles to auto-layout when expanding them over an area like on RPG Maker VX Ace/MV or if they just weren't added. It's the same with the Darkwood Manor Tiles, and the other example image in my previous post. The one in the mapping environment is an outdated version apparently, this one should have all the tiles it's missing. 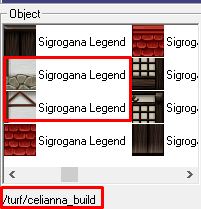 I located the corner turf in the celianna_build.dmi. Does that dmi need updating as well (-- because all icons in that dmi have no center piece)? Or are there not icons for those parts. And should I list out any other dmi that would possibly need to be updated? Which building is this in-game? 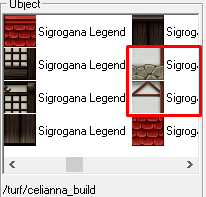 That is the Blacksmith Shop Building in-game. EDIT: Nevermind, I actually found the tileset and imported them myself. Is there any way we can place down NPCs into our maps that are not guards? Or maybe make our own? Maybe, though the main issue with it is just that it would require putting interfaces and conversation code in the mapping environment which I don't really want to do. You can easily set up NPCs who only have a one line dialogue by using the one_liner var, which should be in the environment. Ones with actual dialogue trees are more complicated because of the way conversations are set up, and again, lack of being able to test it. To be honest, I'm completely fine with one line dialogue. I would like to just add more NPCs so places don't feel so empty sometimes. 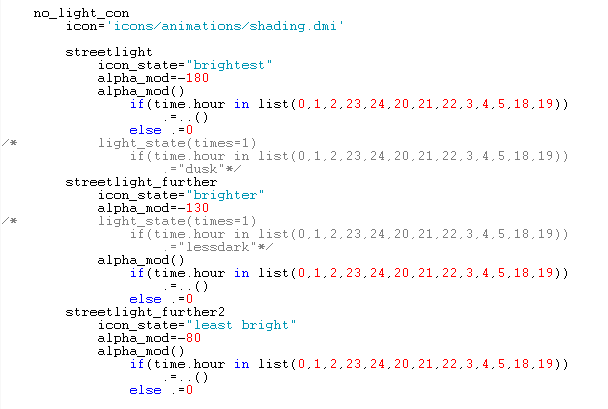 I'd just need more alphamod values and whatnot to make the lighting process go by a lot faster. EDIT: Nevermind! I got it. I'm messing with some new lighting stuff on the side, so the meticulous area-based lighting might get outdated at some point anyway in favor of light sources. But I'll update the mapping environment with that change if I can get it to work the way I want it to.